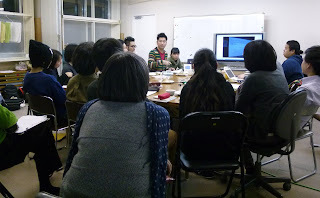 Today we had a sharing meeting about "Korean-Japanese Forum for Youth Issue" at Shure Univeristy. 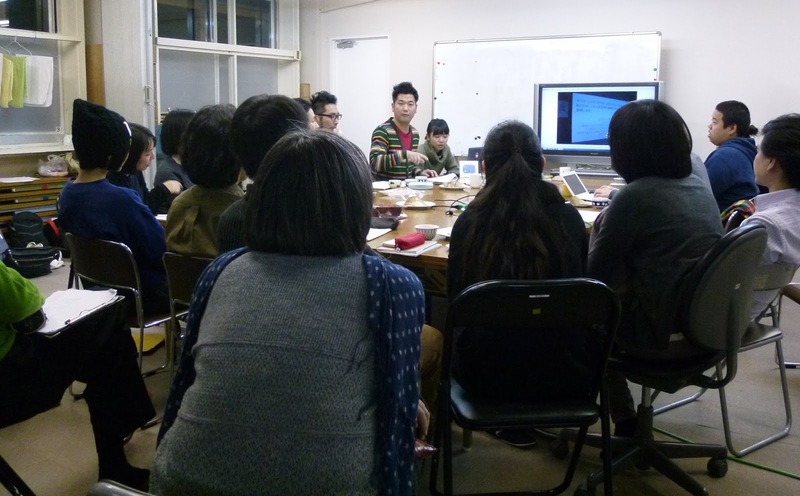 Not only Shure University students but also graduates, staff members joined this meeting. More members than expected joined this. We served Korean sweets and tea which we bought in Seoul. We reported the detailed schedule including the declaration with pictures. We also introduced activities of the participant organizations. Many people asked about Sai Lab of Mindlre, haja centre and Odessey School.